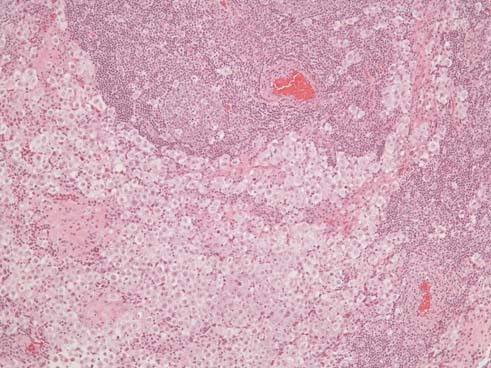 The slide below: Germinoma cells with lymphoid aggregates and lymphocytes infiltrating fibrovascular septae (H and E x 100). The slide below is a higher power of germinoma cells. 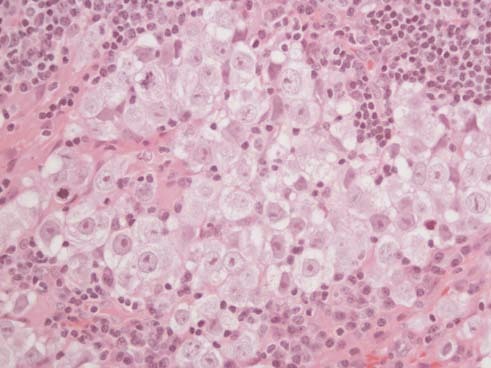 Mitotic activity is brisk within this tumor (H and E x400). 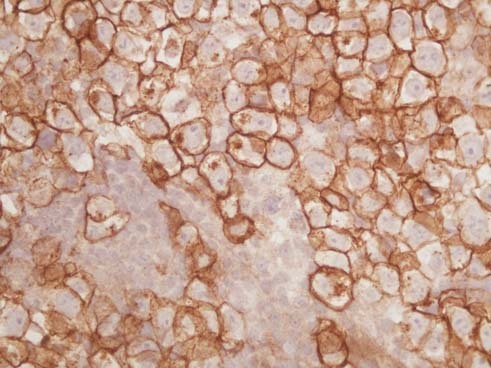 The slide below: Germinoma cells showing membranous and golgi staining with c-kit protein (c-kit immunohistochemical stain x400). 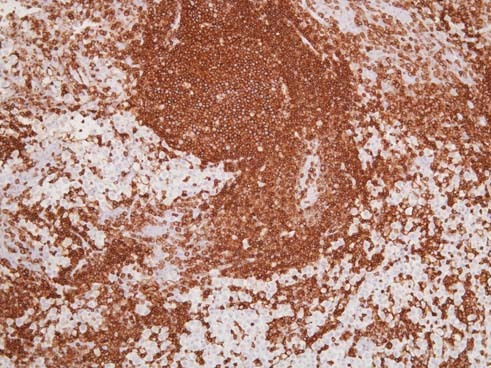 The slide below: Leukocyte common antigen stain showing staining of lymphocytes in lymphoid aggregates, in fibrovascular septae and scattered within the tumor (LCA immunohistochemical stain x 400).